Spiritual leader of the Glorious Wave Chapel International, Prophet Emmanuel Badu Kobi has predicted doom for Nigeria ahead of the country’s elections. Prophet Badu Kobi predicted that Nigeria may not go to the polls in 2019 as planned because disaster awaits the country after the presidential elections. He made the prediction in his prophecies for 2019 during the 31st December Crossover Service in his church in Sakumono, Ghana. He claimed that the All Progressives Congress, APC, flagbearer, Muhammadu Buhari who is also the incumbent President of Nigeria, is hatching plans to rig the upcoming presidential election. He also foresees an attack on the electoral commissioner of Nigeria. 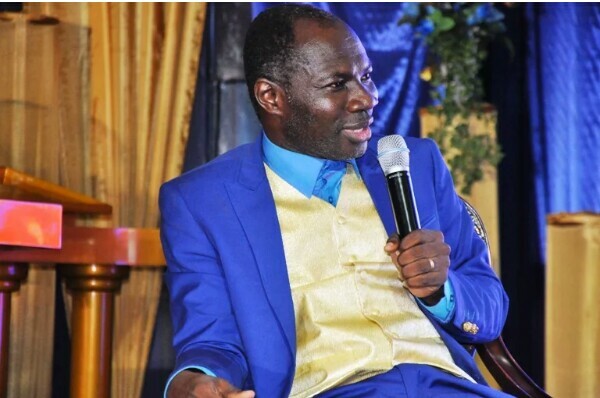 Nigerian televangelist and general overseer of Omega Fire Ministries International, Apostle Johnson Suleman somewhat buttressed Prophet Badu’s vision during his 2019 prophecies concerning Nigeria that the election will be hundred per cent rigged. He however advised President Muhammadu Buhari to retire from active politics and make way for another person to take his place.